Cascades walking track in New England National Park is a rainforest stream walk that travels down through the valley below Wrights lookout for amazing scenic views. 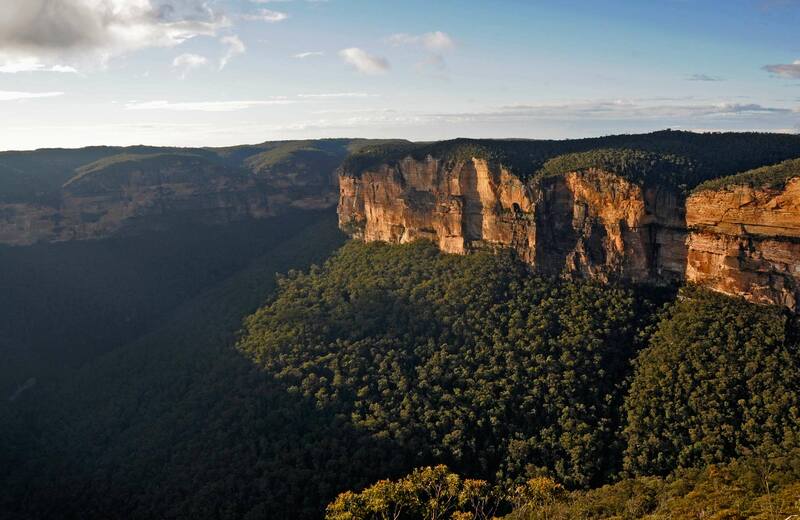 This challenging walk takes experienced bushwalkers on a journey through diverse wilderness, from the edge of New England Tableland to the headwaters of Bellinger River. Wrights lookout walking track takes you through a lush world of ferns and wildflowers to a rocky plateau with spectacular panoramic views looking down to Bellinger River. It only takes 20 minutes to negotiate the easy Point lookout walking track, but the views from this sealed track, within New England National Park, are truly stunning. Roam through eucalypt forest and beneath hanging moss on Tea Tree Falls walking track, linking Thungutti campground and Toms Cabin in New England National Park. A short walk along Weeping Rock walking track in New England National Park will take you to a basalt cliff with natural springs above and covered in moss and ferns.